Karama Central comprises of 5 x 4 storey buildings and 3 x 3 storey buildings. The proposed land use consists of 16 x 1 bedroom apartments and 60 x 2 bedroom apartments, including 152 car parking spaces. Karama Central is located at the corner of Kalymnos drive and Manunda Terrace. Directly across the road from the Karama Shopping Hub. 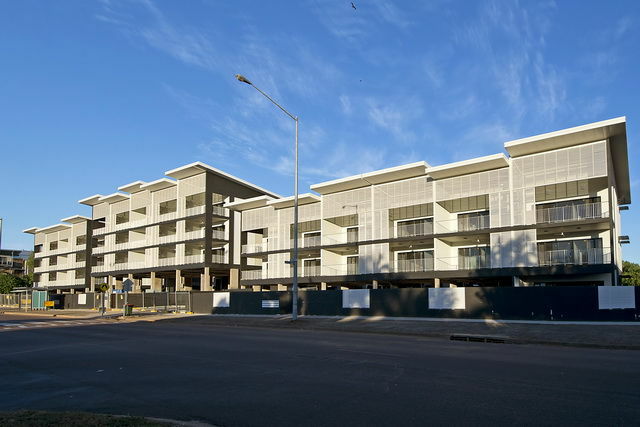 This units are superbly situated—15minutes from the City or Casuarina Shopping Centre. 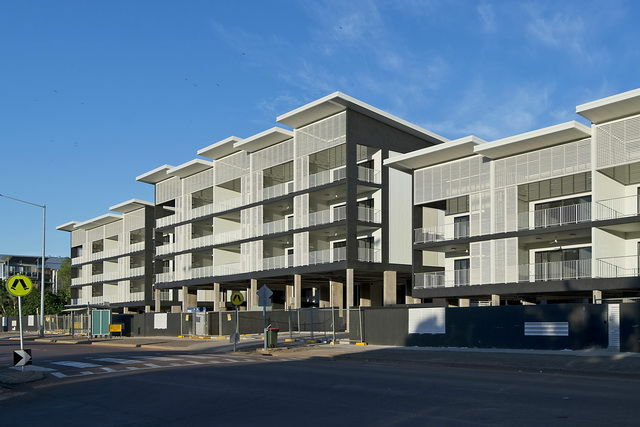 These apartments offer a large spacious open plan living and dining area, spacious outdoor terraces and functional kitchen with stone benchtops. Eight individual buildings interconnected by raised walkways, access to the various levels will be via lifts and stair-ways to the four storey buildings and stairway only to the three storey buildings. Five of the apartments have ground level courtyard access. Karama Central has three access points, two from Kalymnos Drive and one from Manunda Terrace that intersect internally to allow for circulation around the site.